A kinesthetic approach to study that exceeds the accreditation requirements of the College Board, AP Biology Daily Lesson Plans is a full academic year curriculum of laboratory experiments and activities. This set of lesson plans enables teachers to stop lecturing and start leading students through interactive learning experiences. Games, demonstrations, simulations, discussions, and scavenger hunts are outlined throughout the curriculum in addition to the 12 required AP Biology lab experiments. Fully prepare students for success on the AP exam with lessons that incorporate study skills and Free Response essays to improve their note keeping and test taking skills. Each lesson includes objectives, a materials list, procedure, student hand-outs, and grading rubrics. 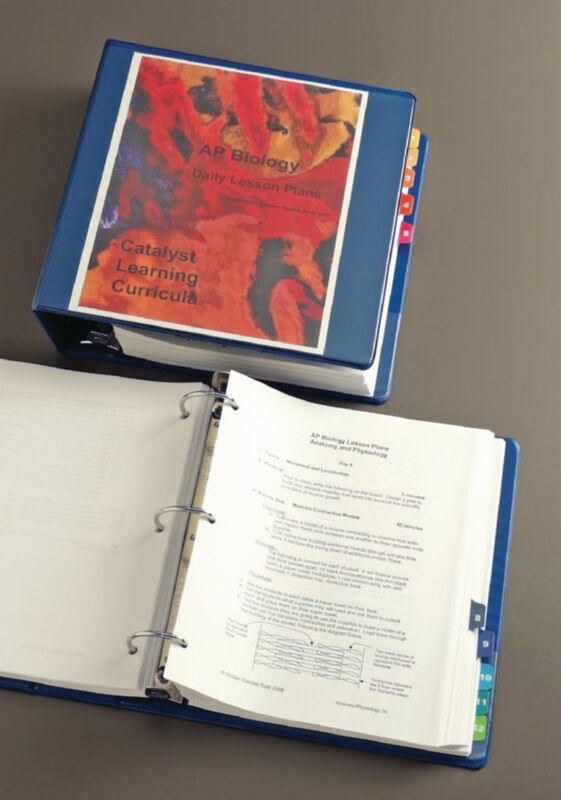 Flexible enough to adjust to any academic schedule, the 142 lesson plans are available in binder or CD-ROM format.